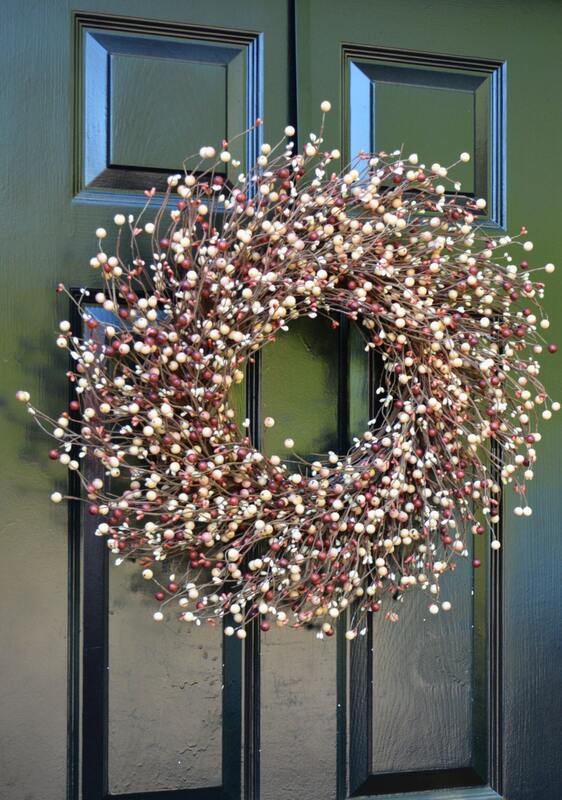 This large artificial burgundy cream berry wreath measures 20 inches in diameter and 4 inches deep. 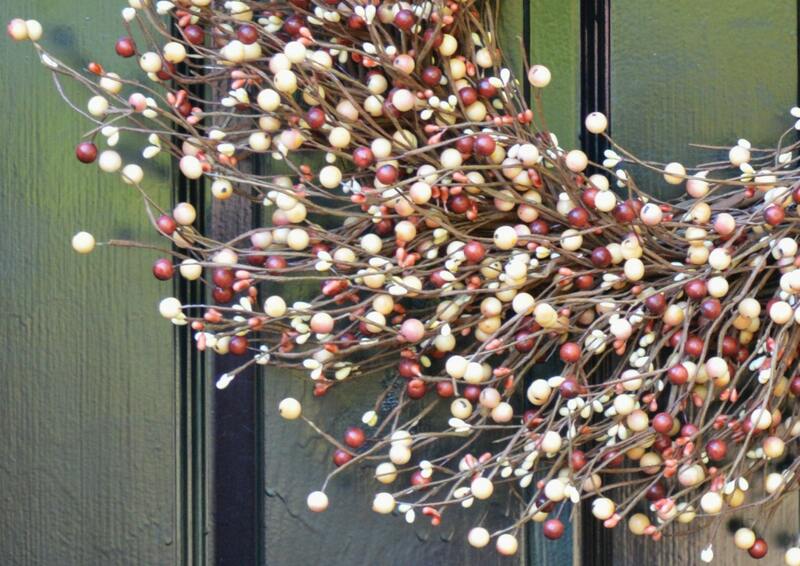 This beautiful wreath will add to any Fall celebration but can easily decorate year round. 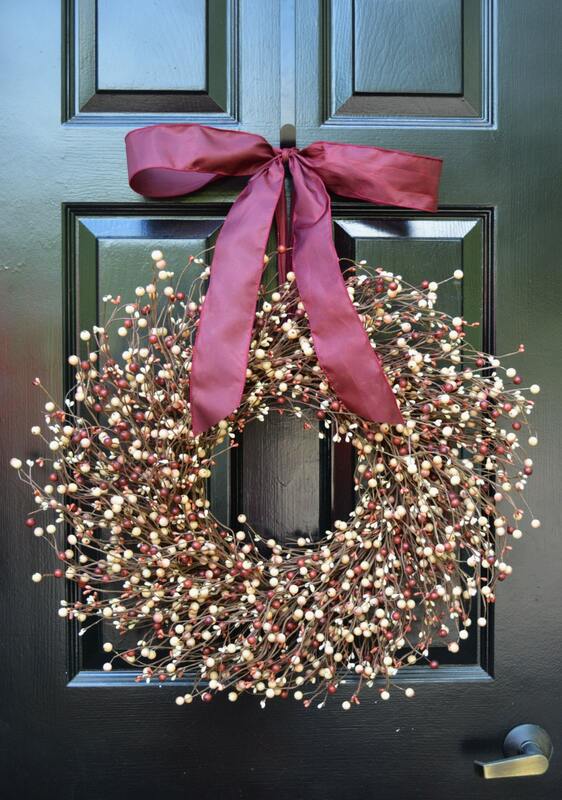 This wreath may be able to fit in between a storm door. Available in sizes 18-24 inches in diameter. Perfectly beautiful!! Love! Love! Love! 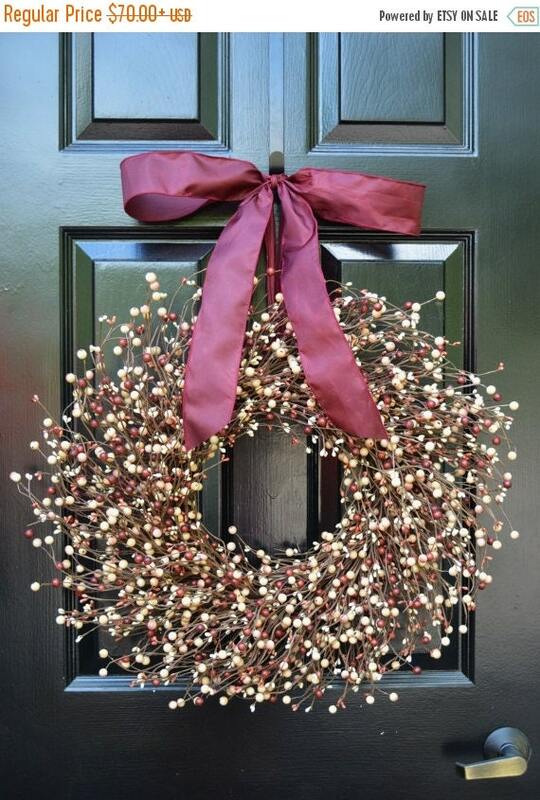 This is the second wreath that I get from this Shop. 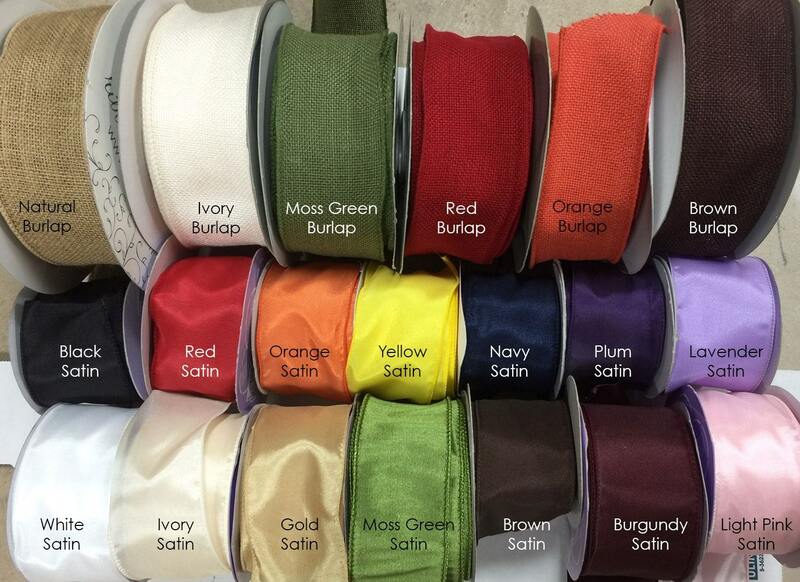 It is just gourgeos, very well made and high quality. The owner of the shop very nice. I rather to pay a little extra for good quality and good service. I ll be back to shop for more in here! Excellent job!